As I put my Christmas decor away, I get one more chance to reminisce about our ventures that we took in the year 2016. Throughout the year as we travel to new destinations, milestones are reached, or we try something new, I try to buy an ornament to place on the tree. I look forward every year to putting up my Christmas tree. I take my time and enjoy looking over our memories. 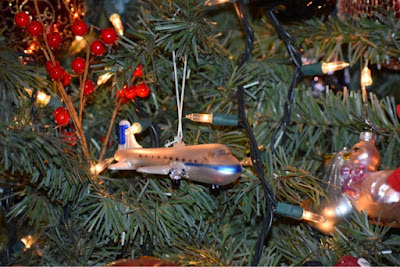 Even our visitors enjoy looking over our tree, it is a great conversational piece. This year was a busy year for us. I can not believe all the new ornaments that was bought. This ornament was not bought by me. 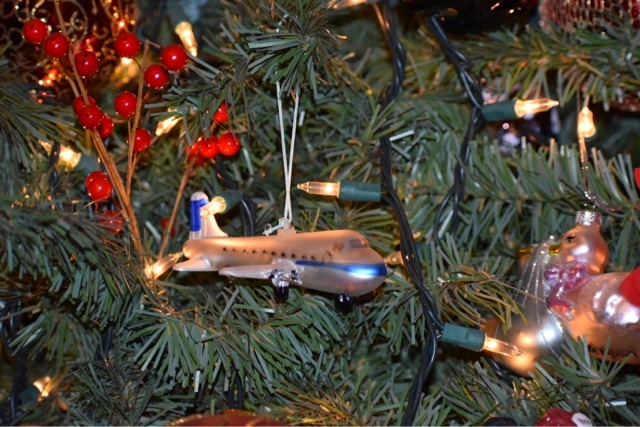 It was given as a gift to my daughter, but it has made a place on our tree. My daughter tried out for the Brown Forman Nutcracker and she made the part of angel. This was her first time ever dancing in this production. It consumed most of our Sundays, from October on, and most of our weekends during the holiday season. It was an amazing opportunity for her and we will do it again in a heartbeat. 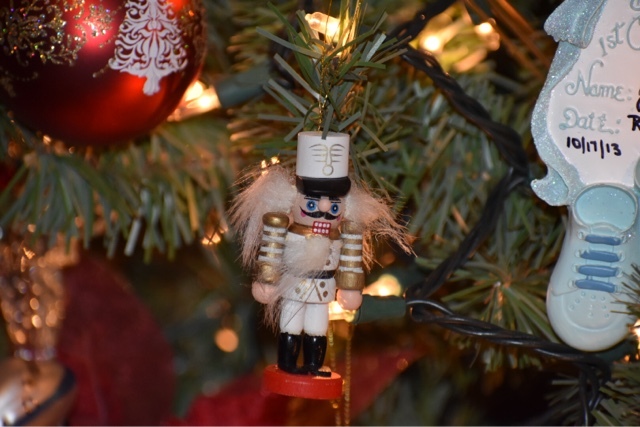 This ornament reflects a cute picture of her in costume and the other side says Nutcracker Angel 2016. This was the best gift and most thoughtful gift anyone could give someone. I will cherish my daughters gift for years to come. The next one is of a Nutcracker. I was unable to find an angel to represent my daughters roll, but I wrote the word angel on the bottom and the year. This year my kids got to ride on an airplane for the first time ever. We flew on Southwest to New York City. Little man enjoyed the ride so much, that when we landed he was screaming "We Go Again". I was able to find two airplanes at Hobby Lobby and I wrote each of my children's names on the bottom and the date. While we were in New York City, we got to go see the Statue of Liberty. 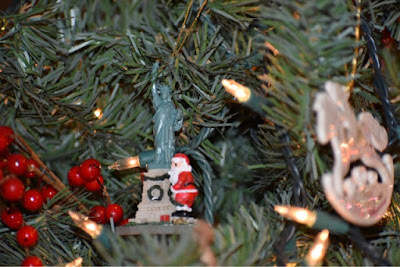 My daughter found this ornament for sale on the boat as we were leaving Lady Liberty. My husband and my daughter bought it and surprised me with it. I love it. 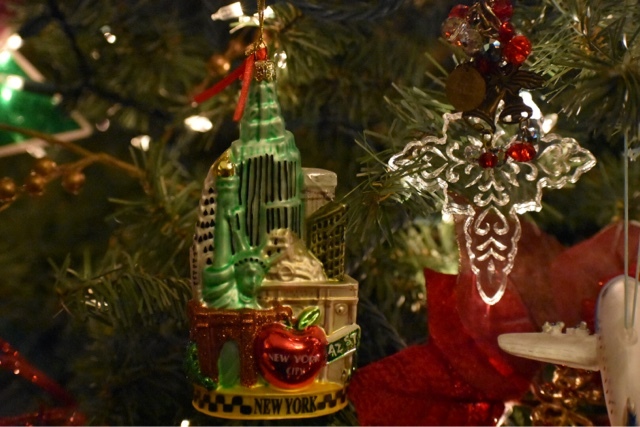 To represent the rest of our visit, I found this cute New York City ornament online. It has things on both sides and it shows every place we went. 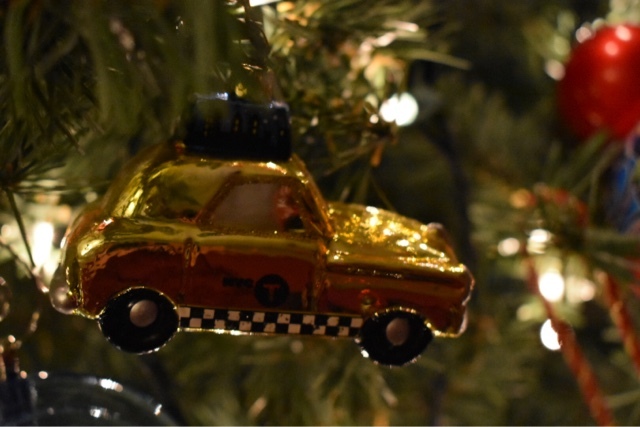 I was also able to find a taxi cab, to represent my little ones first Taxi, Uber, and Lyft rides. We sure made some memories that will not be forgotten on that NYC trip with different modes of transportation. If you follow me on any of my social media links you would know that my family loves going to theme parks. We are Cedar Fair Platinum holders and our passes are well used. 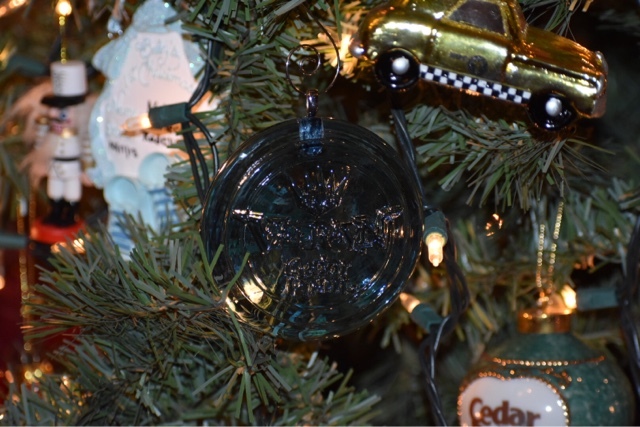 This year my daughter was old enough to stamp a glass ornament from Glass Works at Cedar Point. She was able to learn the art of glass making. The picture does not give this ornament justice. It says the name of the new roller coaster, Valraven, with the words Cedar Point. It sparkles on the tree. My last ornament was a spur of the moment holiday trip over Thanksgiving to St Pete Beach, FL. This was my sons first trip to the beach and we had a blast. 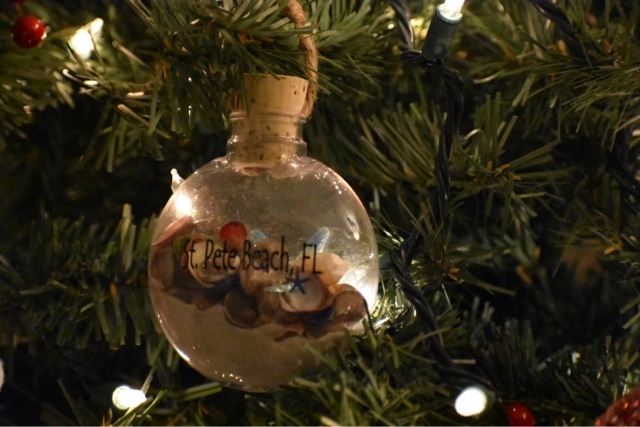 This ornament has sand and sea shells in it. It was our first ever beach trip that we flew in, and only had our carry on luggage. I am use to packing the car full and driving 10 plus hours. We will so be flying to the beach again, no more driving. That is all of the ornaments I bought for the 2016 year. Do you do a Memory Tree? If you don't, I highly suggest it. You can always back date on the tree if you need to. 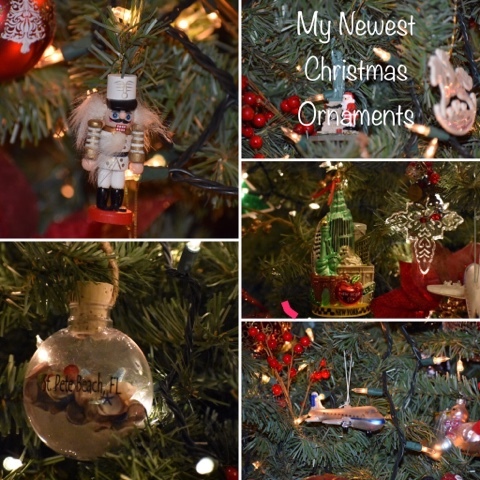 There is still some ornaments that I need to buy. Like a ornament to represent my honeymoon and my daughters first trip to the beach. 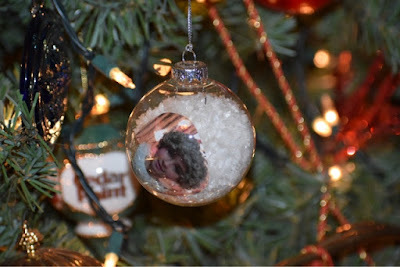 When I find the right ornament for these memories, I will snag them up. 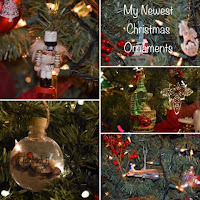 If you want to see more ornaments from my memory tree click on the links below. The Surprise I got for Christmas was from VICKS.